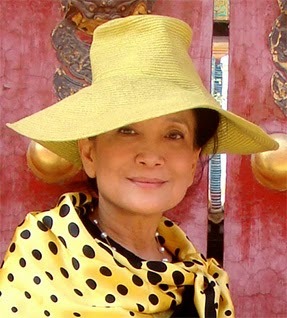 Jung Chang is the author of the new biography Empress Dowager Cixi: The Concubine Who Launched Modern China. She also wrote the bestselling Wild Swans: Three Daughters of China, and Mao: The Unknown Story (with Jon Halliday). Born in China, she has lived in England for many years. 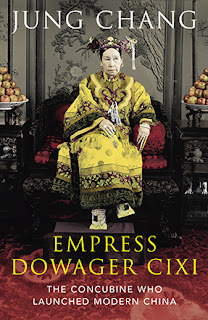 Q: You write that the Dowager Empress “has been deemed either tyrannical and vicious or hopelessly incompetent—or both.” Why has she been seen so negatively, and why do you take such a different view? A: The negative views have been there for the last hundred years. One reason is that people in China always had, and still have, negative views about female rulers or women in power. And three years after she died, China became a republic, and the republican leaders had their own agenda, portraying themselves as the founders of modern China. [As they portrayed it], it fell on them to rescue China from the mess that she had created. I came to my conclusions by studying the documents, which were made available since the late 1970s. There’s a giant wealth of documents, from which I was able to construct my story. From the documents, I realized how different she was from her reputation. Q: What particularly surprised you as you researched the book? A: How different the gap was between her reputation and what she really did. Often, the truth is really obvious. It’s different from when I was researching Mao. A lot of things that Mao did and the way he thought took me by surprise. With her, it was simply that it was so obvious that the reform was started by her, not only immediately when she [came to power] in the 1860s, but also in 1898. It was black and white; the imperial decree stated [by orders of] the emperor under orders of the empress dowager. The documents were there for decades. For some reason, people thought she sabotaged reforms. This insistence on vilifying her took me by surprise. Q: What would you say her legacy is today? A: Her legacy is the modernization of China, the modernity of China. Today, there are telegrams, telephones, electricity, running water. All of that came from her period. She emancipated women. Abolishing footbinding should rank as one of her biggest legacies. My grandmother had bound feet. These things tortured Chinese women for thousands of years. And education—the education system today in China [comes from] a new one borrowed from the West and established by her. The legal system—she learned and introduced Western legal systems. They were in practice in China for decades until Mao took power. After Mao died, China returned to the model established by her. Q: Would you describe her as a feminist? A: I would say yes. She was a feminist; she was against prejudice against women. There’s a common Chinese saying that a woman’s heart is the most vicious. When an opera star sang that on stage, she flew into a rage and ordered him off the stage. She revolutionized the Peking Opera—she turned it from a village art form into a sophisticated opera. She introduced female roles. Before her, there were no proper female characters. The females still were all played by men, but before her, female characters couldn’t act, they could only sing. Under her, they became major characters. Q: But still played by men? A: Yes, that took longer, after she died, to change. Q: You portray her as someone who brought many modern ideas into China. How did she balance tradition and modernity? A: It’s a very interesting thing to study. She wanted to hang on to Chinese culture. She only wanted to change when she felt it was absolutely necessary. One example is the railway. Some things were obvious to her that they should be changed—establishing diplomatic relations with the West; she did that without any problem. But building the railway system in China presented a big problem, and it was debated for 20 years. She initiated the debates. In China in those days, the landscape was dotted by tombs. Every family had their own tombs, selected by feng shui masters and carefully tended. People believed that was where they would go when they died, and they would join their nearest and dearest, and that took the fear out of death. People against the railways thought the roaring engines and black smoke would disturb the dead, and that it would have to destroy some [of the tombs]. Cixi was a devout believer in this sort of religion. The advantage of the facilitation of transport, of moving the army, was not enough to make her build a national network of railways. In 1889, Cixi was presented with an argument that persuaded her to build a railway—that it could be built in the heartland and linked to the sea [along] the Yangtze River [to facilitate exporting of Chinese goods]. Poverty was recognized as China’s main problem, and exporting was a way to lift China out of poverty. That’s very farsighted. When she saw the advantage, she decided railways must be built, and the sacrifice of dead souls was worth it. That’s her way of accepting modernity. Q: Why did you choose her as a subject to write about? A: After I had written my biography of Mao, I was looking for another [subject], and friends suggested her. I had no idea what she was like. I grew up in China, and was subject to the propaganda that she was a she-devil. Two things had struck me before I decided to write about her. I was researching Wild Swans, and I realized that footbinding had been abolished by her, not by the communists. When I was researching the biography of Mao, I was astonished to see how freely young Mao had been living under her [rule]; how many opportunities he had. He had a scholarship to go abroad, he could write for a very free press, he could travel with his girlfriends. [This represented] freedom I couldn’t dream of when I was living in China. Then I looked up things that were written about her, and I realized how large the gap was between her reputation and the real person. I got interested because I could find something new, destroy a myth, and be a historical detective. Q: Your other books were banned in China. Is there a sense yet of the reaction to this book? A: I don’t know. I do hope it won’t be banned, but I’m not very optimistic. We just have to see. I am translating the book into Chinese, and it will come out next year. Q: So that’s what you’re working on now? A: Apart from traveling and promoting the book, I’m translating the book into Chinese; I’m halfway done. A: The book charts Cixi’s progress from somebody who’s come from medieval China [and becomes] an absolute ruler of one third of the world’s population.